Leveraging on our industrious workforce we are offering Stainless Steel Single Bowl Kitchen Sinks to our clients. These kitchen sinks are blend of aesthetic appearance and are available in various dimensions. 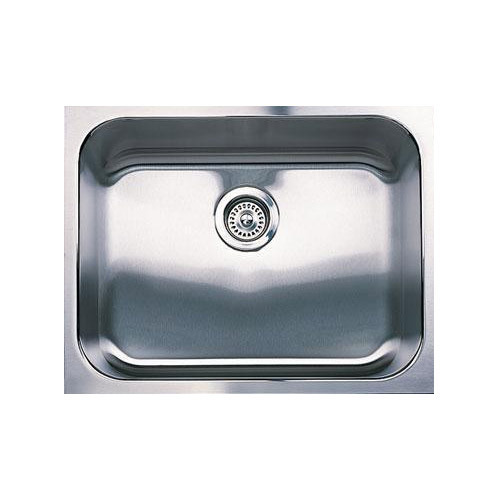 These kitchen sinks are notable for their quality and we are offering these at reasonable price. Established in the year 2012, we “Om Bath World” are engaged in the manufacturing and supplying of Kitchen Sinks and trading of Chrome Plated Bathroom Fittings, Sanitary Ware, Waste Coupling and Bathroom Floor Tiles. Manufacturing brands of these products are Jaladee, KPl, Neelja and Rubic. We are basically a sole proprietorship based entity that is situated at Hyderabad in Telangana, India. Our company is recognized in the industry for presenting quality assured, highly durable, precisely designed, sturdily constructed, perfectly finished, extremely beautiful and maintenance free product range to the customers at market leading prices. These products enhance interior as well as exterior beauty of various places due to their glossy finish, attractive look and unique design.